O’Rourke has been closing the gap over the last several months, but this is the first poll that puts him ahead of Cruz. Editor's note: This story has been updated to emphasize the Ipsos poll's findings among likely voters. Forty-seven percent of likely voters told Reuters they would vote for O'Rourke, while 45 percent said they would cast their ballot for Cruz. Three percent said they would vote for "Other," and 5 percent said "None." Ipsos online polls do not have margins of error; instead, the poll's precision is measured using a "credibility interval." This poll's credibility interval was +/-3.5 percentage points among likely voters. Respondents were also asked whether they perceived Cruz and O’Rourke as “traditional” politicians. 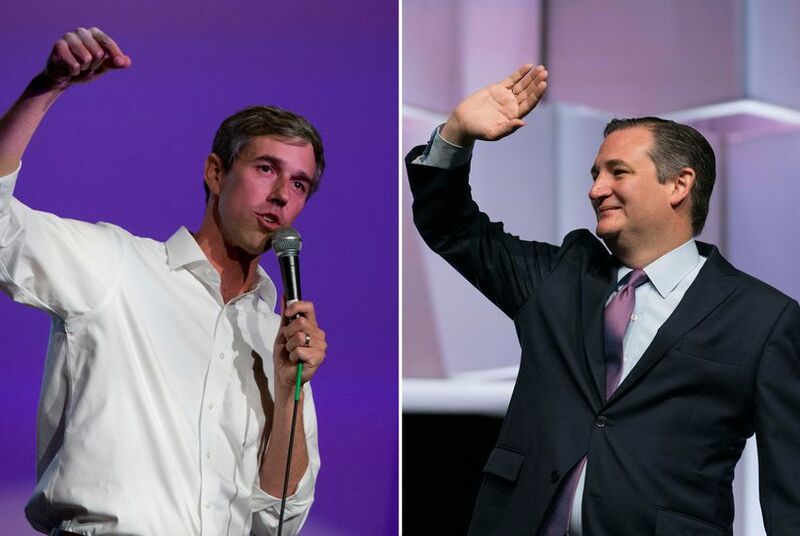 Among likely voters, 76 percent saw Cruz as traditional, while only 32 percent perceived O’Rourke that way — something that may be to O’Rourke’s advantage in a political climate that leans away from establishment politics, Jackson said. Correction: A previous version of this story incorrectly described the poll as having a margin of error; Ipsos online polls' precision is measured using a "credibility interval." Ahead of trip to Texas, Donald Trump uses a new nickname for Ted Cruz: "Beautiful Ted"